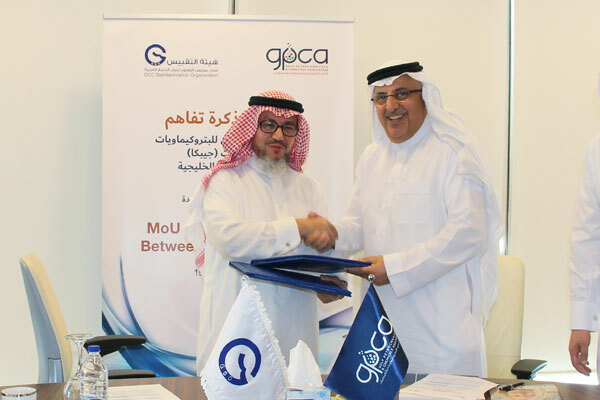 The Gulf Petrochemicals and Chemicals Association (GPCA) and the Gulf Standardization Organization (GSO) have signed a memorandum of understanding (MoU) to collaborate on developing world-class standards for the chemical and petrochemical industry in the GCC. The agreement was signed at GPCA’s headquarters in Dubai, UAE, by Dr Abdulwahab Al Sadoun, secretary general, GPCA, and Nabil Amin Mulla, secretary general, GSO, said a statement. The MoU aims to establish close cooperation framework between the two organisations in areas of mutual interest such as technical standards and regulations, consumer protection, environment and public health, it said. The agreement further stipulates the establishment of working groups comprising technical experts from industry and GSO to pave the way for adoption of internationally recognised best practices on dangerous goods transportation, global harmonisation system and industrial waste, it added. On both industry and regional level, in the long term the MoU is aimed at advancing the chemical and petrochemical industry in the GCC, supporting intra-OIC trade and the development of the economy, while maintaining state earnings, and contributing to the reduction of technical barriers to trade in line with the objectives of the Gulf Common Market. “The agreement also aims at supporting the various standardisation activities and enhancing the quality infrastructure at the level of the member states. It also allows GPCA to participate in the preparation of Gulf standard specifications in related fields and to seek support for their international adoption,” he added. “It will also support the formation of technical committees and teams specialised in the field of petrochemicals to foster the exchange of scientific knowledge in order to serve standardisation activities,” he concluded. “In line with our role to support the advancement of the chemical industry in the Gulf region, the association will continue to acts as a facilitator of dialogue, and support the exchange of information and best practice, thus making a significant contribution to shaping the industry’s future at both global and regional level,” he added.